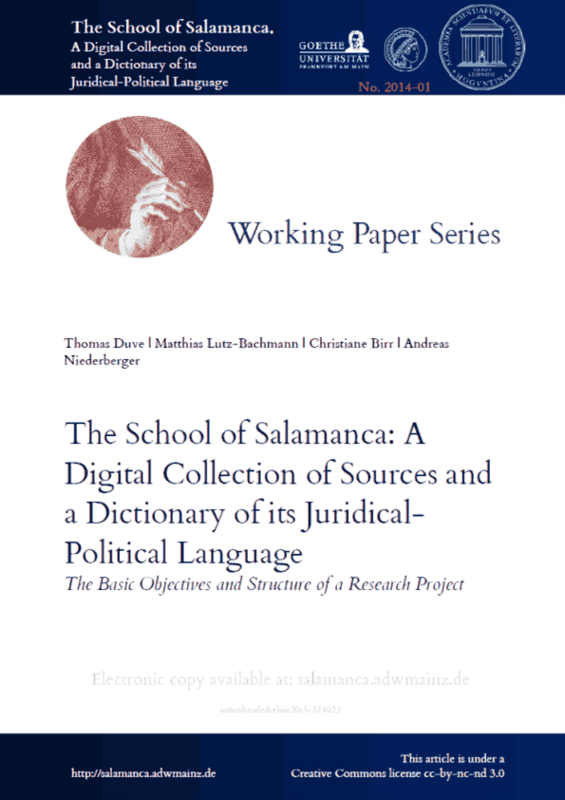 Thomas Duve & Matthias Lutz-Bachmann & Christiane Birr & Andreas Niederberger: The School of Salamanca: a digital collection of sources and a dictionary of its juridical-political language. The basic objectives and structure of a research project, SvSal WP No. 2014-01.